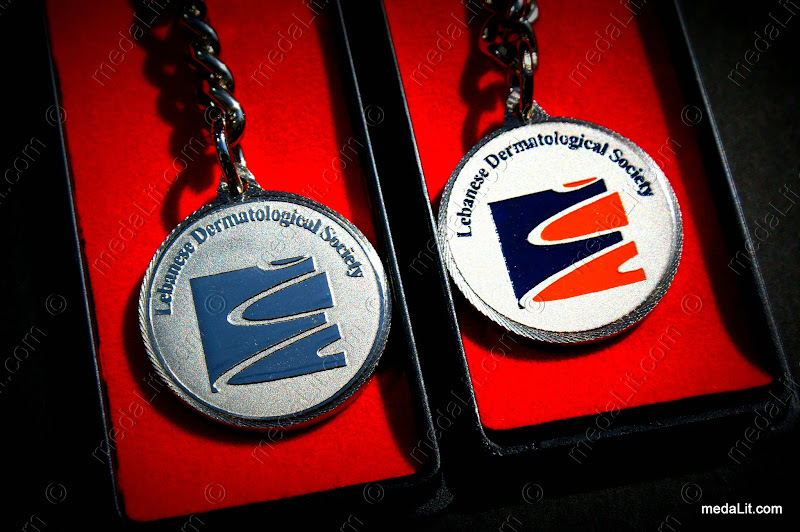 Medals with Key holders are a very simple yet highly effective way to put your company name and logo in front of a targeted audience for a very long time. Those medals usually contain a company name and logo, contact information, company slogan or message. They serve as excellent promotional items for your company or event and combine luxury, durability and affordable price. You can choose to have your own logo and message on one side of the medal while having a generic design on the other side. Generic designs can be chosen from our large portfolio of remarkable landmarks, common icons, religious designs and zodiac signs. This will save you money and at the same time it gives the people to whom you intend to offer another reason to keep and use your key holder. Our key holders come in standard circular shapes having diameters of 30, 35 and 40 mm with thicknesses of 2, 3 and 4 mm. The medal is usually minted from brass, (but can be made from silver or even gold) and can gold-plated or silver-plated with or without antique patina (antique patina is used to artificially "age" a silver-plated medal), the latter has a longer durability because antiquating medals delays tarnishing. You can choose to carve your medalet's perimeter with our diamond cut which adds a better overall look to your key holder. There are ten types of diamond cuts for you to choose from. Available in 3 sizes (diameter mm) A (40), B (35) and C (30). See table. Gold-plated or silver-plated with or without antique patina. With assorted key ring and chain. Carry your own logo and message. Can be single or double sided. Perimeter can be ordered with diamond cut for a better overall look. Packed in a crystal clear plastic box. H= height mm. Kg = medal weight in Kilograms. All dimensions and weights are approximate.